Philadelphia, the largest city in Pennsylvania in the United States, is home to more than 8,000 tech business establishments and has the third largest growth of tech jobs. Therefore, it’s a place with umpteen tech job opportunities. KnowledgeHut offers Certified Scrum Developer training in Philadelphia, a certification that validates the ability of an aspirant to work across diverse project management tools and techniques and excel in this tech hub. The CSD course in Philadelphia is delivered in two parts across five days. The first part covers Scrum principles, values, framework, roles and ceremonies and how to work in the Scrum environment. The second part offers theory and practical sessions on actual design and code samples. This CSD training in Philadelphia also teaches to create software that supports an iterative process without unnecessary rework. 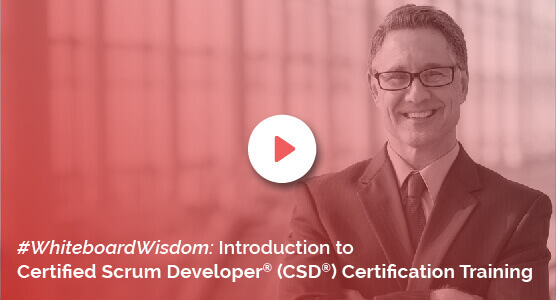 This CSD certification in Philadelphia will give you 40 PDUs and 40 SEUs. You will get activities that include innovative games with Scrum, coding practice and multiple TDD examples using .Net and Java, examples of refactoring code and continuous integration code. The course will enable you to – estimate development tasks more accurately, avoid upfront overdesign and practice just-in-time development and set up standards and best practices for a quick creation of quality software. You will learn to collaborate successfully with pair programming and define a strategy for continuously integrating software as it is built. The Certified Scrum Developer certification in Philadelphia by KnowledgeHut is delivered using Scrum Alliance approved course material and the practical experience of working with Scrum tools, that have consistently met the expectations of the aspirants as well as the corporates across the world.